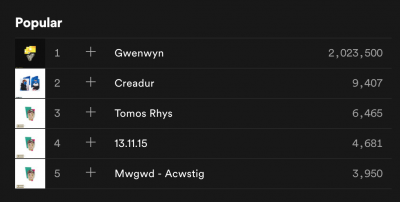 In late 2018, Welsh rock band Alffa became the first group to release a song in the Welsh language that hit one million plays on the Spotify streaming platform with the song “Gwenwyn”. This achievement is especially noteworthy because the band wasn’t particularly well known outside of Wales, but thanks to Spotify’s reach, listeners from as far away as Brazil and Mexico discovered a song in a language spoken by approximately 700,000 people. Rhiannon Lucy Cosslett, a columnist with the Guardian newspaper who herself is Welsh, dug deeper to inquire why a Welsh language song became so popular. She spoke with Alun Llwyd of the music distributor PYST, who credited the Spotify platform’s openness to music in all types of languages. “What’s beautiful is that Spotify judge the songs on musical merit, not the language or the band,” Llwyd said. “Nobody knew Alffa outside a small part of Wales. This is testament to the strength of the song.” Since that earlier story was published, the Welsh song has hit two million plays. Dr. Coleman Donaldson, a linguist, researcher, and teacher of Manding languages noticed the VOA’s use of French orthography. Don Osborn, author of the book African Languages in a Digital Age, wondered whether the reason for this was a scarcity of keyboards to enable writing in the official Bambara orthography. Ultimately it might boil down to VOA’s determining that only a small portion of their audience can read Bambara orthography, but Osborn also points out that this is probably an untested assumption. The Cercle Linguistique Bamakois has initiated a petition calling on VOA to adopt the official orthography. 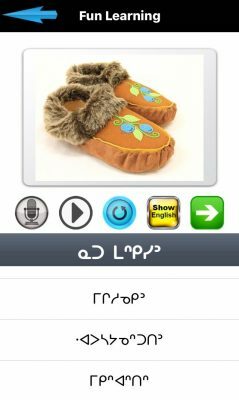 The petition points out the effort and resources that went towards the development of the orthography, and that international broadcasters such as Radio France International have made an effort to use the official orthography on their websites.